I’m always thankful for those many visits to the aquarium as a kid. Although I was taken regularly to the lake and to the ocean to swim and play, it was those moments seeing the marine animals in giant tanks that spurred on my curiosity. I didn’t see those tanks as limiting – although I was sympathetic to the animals, wishing them to return to the sea. I saw the ability to learn about the fish and sea life, to see them move through the water effortlessly, and to want to emulate them. So as I got older and learned to swim better and to snorkel, I thought more about those moments at the aquarium. 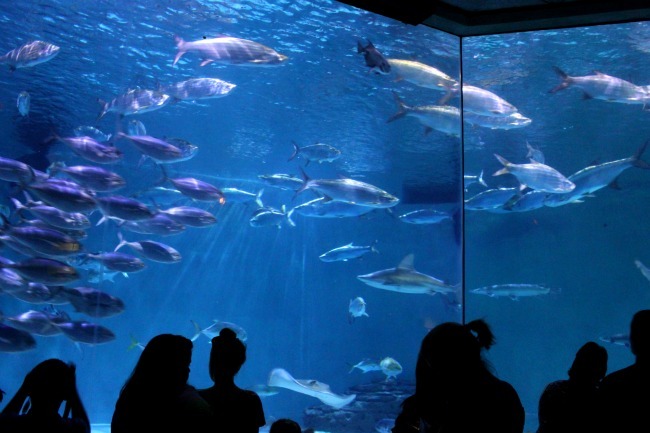 While in New Orleans at the Audubon Aquarium of the Americas, there’s one area where you can sit and stare into the giant tank filled with sea life. And it made think of those days when I was little and would watch the fish as long as my parents would let me. But now I think about what it would be like to be snorkeling through the tank, or to learn to scuba dive. I looked around at the other kids watching the fish and hoped they too would want to explore the sea and see what those amazing creatures look like in the wild.